The daughter of Slimane Bouhafs, an Algerian Christian who has spent the last 18 months in prison for insulting Islam and its prophet, has announced her father’s release. Algerian newspaper El Watan reported that Tilelli and her mother had been on their way to visit him in prison when he called, saying that he had been released and was about to take a taxi home. Tilelli reportedly told him to wait, after which they picked him up and travelled home together. He added that he had “seen unbearable things in prison” and thanked people from all over the world for sending him letters of support. He was adjudged to have insulted Islam, the state religion in Algeria. The penal code provides for a penalty of three to five years in prison, along with a heavy fine, for such an offence. Bouhafs was initially given the maximum sentence, before it was reduced to three years and then, following a presidential pardon, further reduced. However, the family’s request for parole in October, owing to Bouhafs’ ill health, was rejected. A source who preferred to remain anonymous told World Watch Monitor at the time of the initial sentencing that a five-year sentence was “severe in view of a rather minor offence”. Such comments on social media are common in Algeria without usually triggering the wrath of the authorities, the source added. In January 2017 a court in Bouira (100km east of Algiers) sentenced another Algerian Christian to a year in prison for items he posted on his Facebook page, adjudged to be insulting to Islam and its prophet. During his incarceration, Bouhafs spent time in three different prisons. 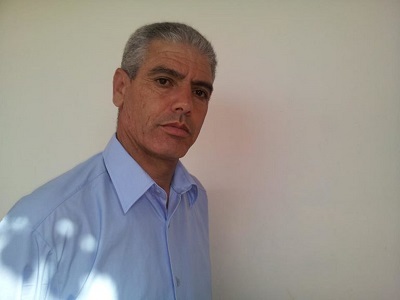 Initially he was imprisoned in the northern city of Setif, but was then transferred to Constantine and later Jijel, despite the family’s request that he be moved to Béjaïa – in the Kabylie region where he is from and where there is a relatively large Christian community. While in prison, his health deteriorated due to his inflammatory rheumatism, a disease that worsens under stress and requires a special diet. He also reportedly suffered aggression from his fellow prisoners because of his Christian faith. Another daughter, Afaf, described her father as a man who had always defended the interests of his country from a young age. She said he is known for his commitment to democracy and religious freedom in all his writings published on his Facebook page. According to Said Salhi, vice-president of Algerian League for Human Rights (LADDH), the verdict was “part of an escalation” and a result of “abusive” use of article 144 (bis) of the Algerian law. In October 2016, a crowd gathered in the northern city of Tizi Ouzou to lobby for Bouhafs to be allowed access to medical treatment. They also called for a change to the law that punishes anyone deemed to have insulted Muhammad or “denigrated the dogma or precepts of Islam”. In May 2017 the LADDH organised a rally in support of Bouhafs in Béjaïa’s city centre. In a statement the group said the Algerian government had been responsible for “repeated violations of human rights and freedoms” and demanded “the release of all detainees of political or religious opinions”. Bouhafs’ conviction was seen by some as a means of silencing him because of his political activism. He belongs to a movement for the self-determination of Kabylie (known as MAK), a separatist group not tolerated by the authorities. MAK activists are regularly harassed and arrested.